Have you heard the news? 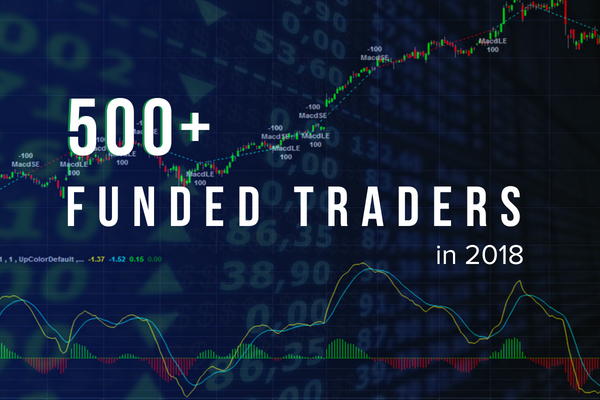 TopstepTrader has funded 500+ futures traders SINCE JANUARY! That's a pace of funding that we've never seen before, thanks to market volatility and more traders than ever interested in trading our capital. And it has enabled stories like Mykhalio in the Ukraine, who put up our largest trading day ever yesterday, profiting $8,100 in Crude Oil. But TopstepTrader's success is not just about the traders now earning funding. We continue to fund profitable traders like Charles B., who has been trading with TopstepTrader since November 2015. To commemorate the occasion, TopstepTrader's Founder and CVO Michael Patak joined CEO Jay Rudman to go over some of the highlights and talk with the community. Check out the video below. Will you be our next funded trader? Get started today!